Push your pro-forma invoices from ServiceTrade to Quickbooks. Once you have an integration to QuickBooks Desktop or QuickBooks Online configured in your ServiceTrade account, you can use this integration to send invoices from ServiceTrade to QuickBooks. 1) Go to an invoice that you want to send to QuickBooks. 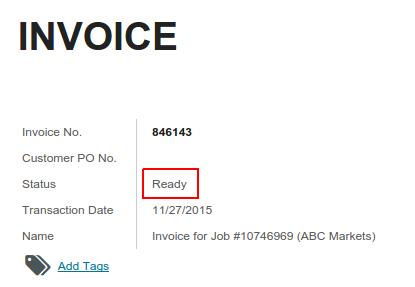 Confirm that the invoice is in "Ready" status. 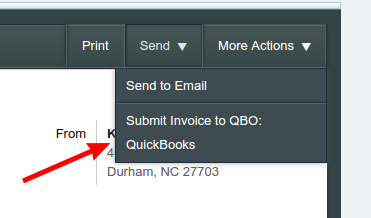 2) In the upper left corner of the invoice, click the Send menu and choose the QuickBooks company to which you want to send this invoice. If you have multiple QuickBooks integrations configured, each QuickBooks integration will appear in this list. 3) In the confirmation box that appears, click Submit. The invoice will now be sent to QuickBooks. If the customer and/or invoice item codes that you used on this invoice do not exist in QuickBooks already, they will be created. Please note: the invoice synchronization process may take several minutes. While the invoice is in the process of being sent to QuickBooks, the invoice status will be "Pending Accounting", and you will not be able to make any changes to the invoice. Invoice Status in Quickbooks will be "Final"
The invoice status will change to "Processed". 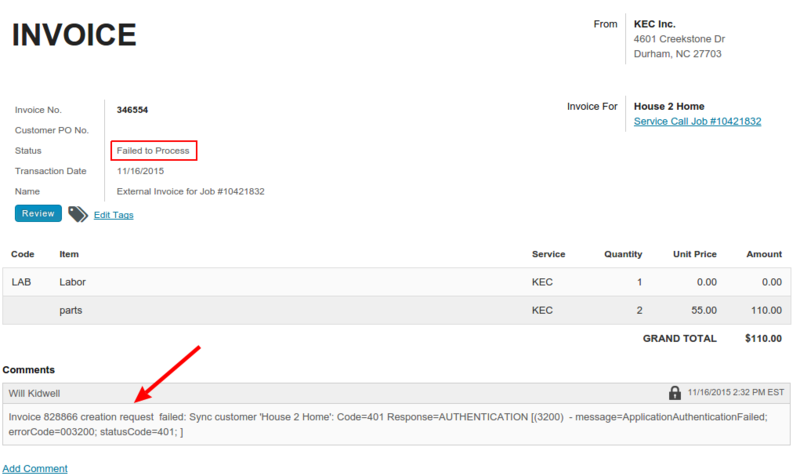 The invoice status will changed to "Failed", and the error message from QuickBooks that provides details about the failure will appear as a comment on the invoice. You should review and address the error message, then edit the invoice, make any necessary changes, save the invoice, and resubmit it to QuickBooks using the process above.